This post is sponsored by Ritz. Opinions are my own. We’re in the heart of the holiday season and I am in my element. The holiday music is playing, it’s sweater-weather and I’m looking forward to spending some quality time with my husband and my kids in the coming weeks. I’m also excited about entertaining our friends and family! While I love being in the kitchen, I don’t love preparing complicated dishes. For me, simple is best. That’s why I am in love with these crispy and delicious little salami and cream cheese Ritz bites! There are so many creative ways to use Ritz Crackers during the holiday season. From sweet treats to savory appetizers, this is one of my go-to products when it’s time to feed my crew—especially throughout the holidays. 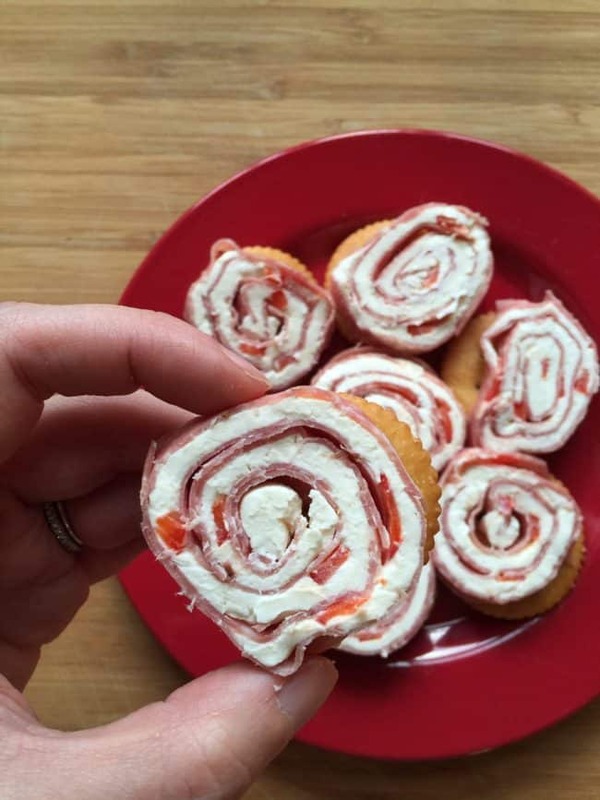 I love this salami and cream cheese Ritz bites recipe because it’s quick and easy. Everyone in my family loves the salami and cream cheese combination. The red pepper gives it a perfect kick, and when you place it all on top of a crispy, buttery Ritz cracker it’s just about perfect. I like making a platter of these delicious little snacks for our holiday parties for people to munch on. Of course, my kids love them so much that they request we make it for a snack at home sometimes, too. I’m happy to oblidge! 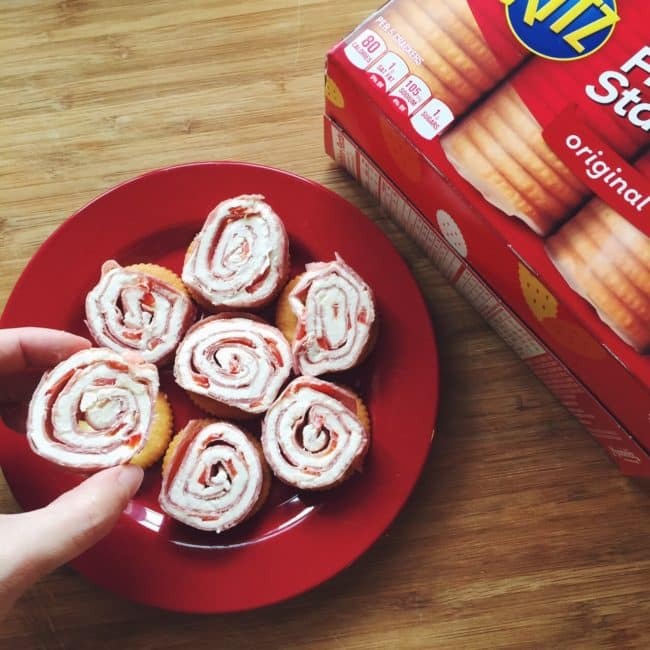 Ritz are the perfect size to pick up and eat during your holiday festivities. Of course, they’re also any dip’s best friend. I’ll have to share my mom’s famous cheese ball recipe with you soon. It goes great with Ritz as well. 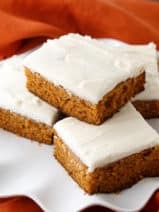 I’m craving some of these salami and cream cheese bites just thinking about them! It’s a good thing I’ll be making a plate very soon for a holiday party I’m attending. 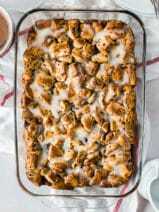 I hope you love this recipe as much as my family does. The best presents aren’t always under the tree. RITZ; Life’s Rich. 1. On a flat surface, lay out a large piece of plastic wrap. Place cream cheese on the top of the plastic wrap and cover with another piece of wrap of the same size. Using a rolling pin, roll cream cheese in a rectangle shape about 1/4 inch in thickness. Occasional, carefully pull the wrap off and replace it, this prevents the wrap from working its way under the cream cheese. 2. When desired shape and thickness is achieved, remove the top layer of plastic wrap. Add the salami overlapping the slices until all of the cream cheese is covered. Lightly press the salami into the cream cheese to make it stick. Put the plastic wrap back over the top of the cream cheese and salami and carefully flip so that the cream cheese is back on top. 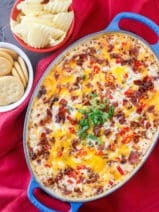 Remove the plastic wrap and place the red peppers evenly over the cream cheese. 3. 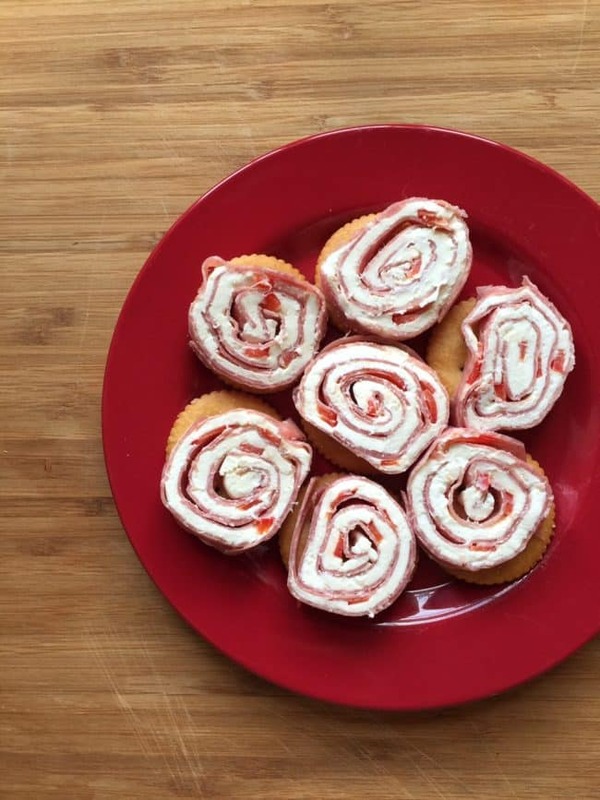 Roll the salami over the cream cheese. Roll as tight as possible, pressing the outer layers tight to hold it all together. Wrap log in plastic wrap, and refrigerate 4 to 6 hours or overnight. The longer it chills the easier it is to slice. 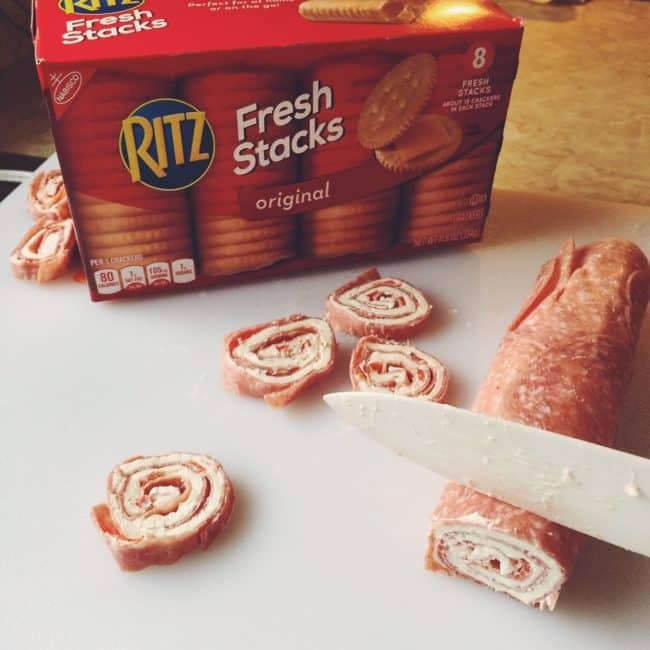 Slice to desired thickness and add to a Ritz cracker. I can’t wait to try this one. I love snacks on any occasion. 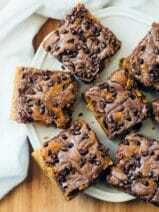 I am going to try these for my kids lunch. It will be a great change for them this upcoming school session. 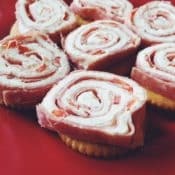 Could you email me the recipe for these – Salami and Cream Cheese Ritz Bites – it is not posted with the pictures on the page and they look amazing!